Finding vegan croissants is the main goal of my holidays, and if you find good ones on your first morning it really takes the pressure off the rest of the vacation. 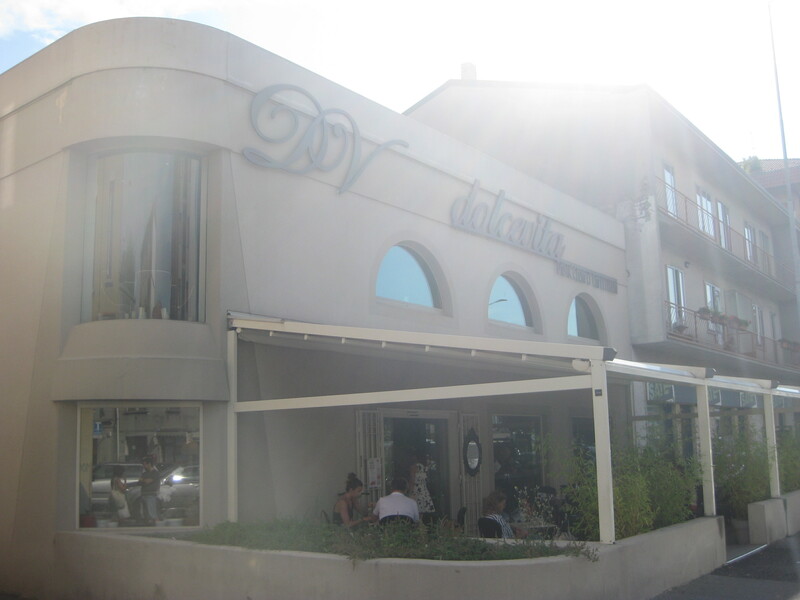 Enter Dolce Vita, a charming little pasticceria in Bergamo. There’s a lovely little outdoor terrace, and a seriously tempting display cabinet inside full of cakes and pastries. We would have loved to stay for a sit down and leisurely breakfast, but we were hurrying for a train so just had to get something to takeaway. The staff mostly spoke Italian, and mine is a little rusty, but I understood that all of the pastries were vegan, though they do have dairy milk for hot drinks (preventing it from being an all-vegan place). We got these incredible chocolate croissants to eat on the train – though I cannot in good conscience recommend eating them on public transport as they are extremely flaky! Oh, they were divine – one of the culinary highlights of the trip. They were filled with chocolate spread and were just delicious. 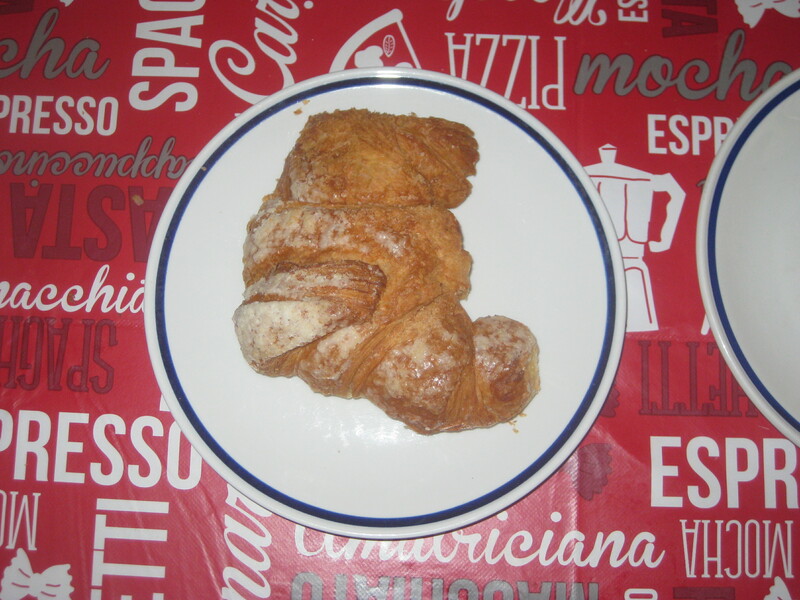 We also got two plain croissants to keep for breakfast the following day, and they kept very well indeed. Again, the pastries were flaky, buttery and delicious. 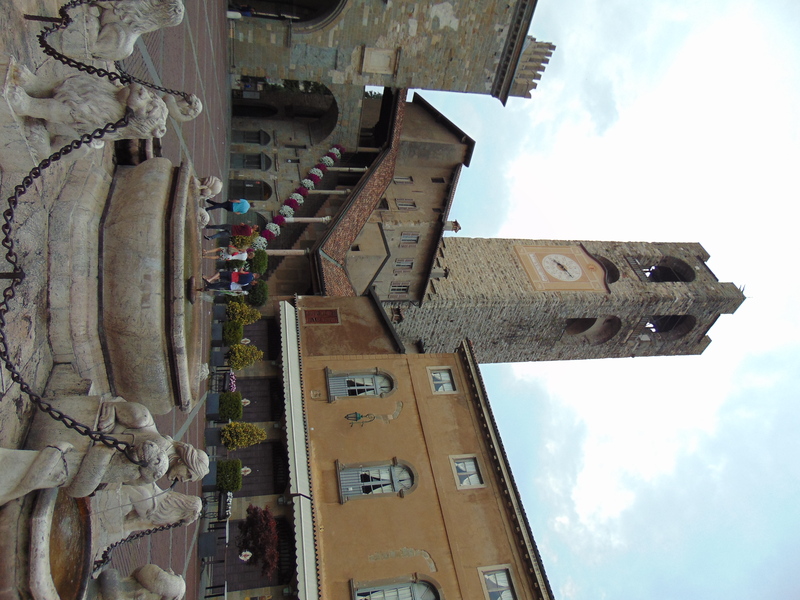 I think Bergamo is well worth a visit for the charming old town up the hill…but mostly for this place! Add it to your itinerary, you won’t regret it! This entry was posted in Travel, Vegan Mofo and tagged Dolce Vita Bergamo, vegan Bergamo, vegan Italy, vegan travel, veganmofo, vgnmf17. Bookmark the permalink. Those chocolate ones are making my mouth water. Too long since I’ve had a good croissant. Unsurprisingly, I think mainland Europe is much better than the UK when it comes to croissants. I would definitely make a special trip to see somewhere with vegan croissants! 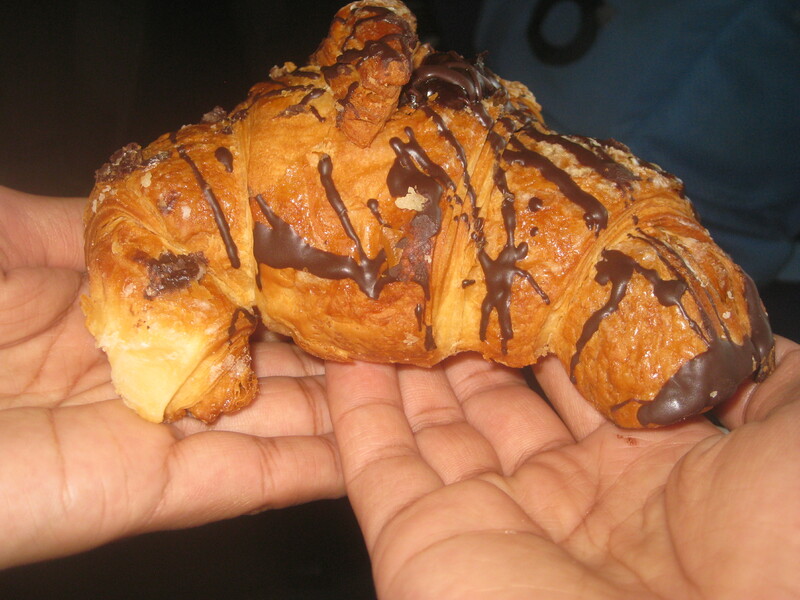 Wow, the chocolate croissants sound amazing, especially with the filling! Yes! Vegan croissants! Up there with doughnuts as one of my favorite hard-to-find vegan pastries. So decadent. That chocolate one looks divine. Doughnuts have suddenly become really easy to find in Prague, but pastries remain quite difficult. The chocolate ones were very special indeed! I never was a croissant girl until I had one instead of a bun on a veggie burger. Now I drool at photos of them. I’ve only had one savoury croissant and I found it a bit weird. Chocolate coated all the way!